Unless you're happy with mere image and video walls, you want to make your interactive content responsive in contextual ways. Every visitor is different so make sure your interactive experiences can respond in kind. That's where the "programming without coding" magic of IntuiFace comes into action! Every element - from images and videos to documents, 3D models and Web browsers - is highly configurable thanks to a large collection of properties. Customize appearance, define levels of interactivity (doesn’t respond to touch? can only be rotated?) and specify functional constraints to ensure you control every aspect of the experience. When X happens, then do Y. Intuiface exposes this trigger and action relationship for every element of your design and for your experience as a whole. When this page in a document is reached, open that Web Browser at a specific URL. When this button is pressed, play that video. When this timer runs out, reset the experience to an attract loop. 200+ triggers and 200+ actions can be combined, all without writing one line of code. Mirror values to create relationships between two or more properties, triggers or actions. For example, link the height and width of one image to another. When the first image is resized, the second mirrors the change in dimensions. The potential for visual choreography is unlimited. Add "converters" to transform values before passing them along. Move, rotate, blur, shrink, hide – all of these actions and more can be animated. You can even choreograph multiple animation effects to work in parallel. Extensive configuration options give you complete control, presented in an intuitive, easy to use style. 25 on-screen gestures can be used as triggers for any one or more actions. 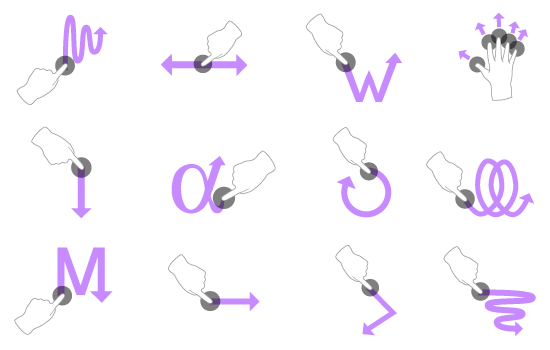 This gesture library includes everything from west and east swipe gestures to V-shape, greater than/less than, triangle and circle. Create secret actions only you will know about! 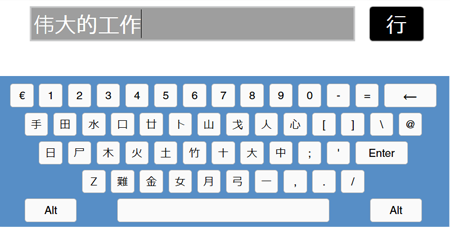 Intuiface includes an on-screen keyboard that is localized for 30+ supported languages. IntuiFace uses system information to determine and automatically display the appropriate language and layout but you can override the default with just a mouse click. Multiple pen widths and colors can be accessed at runtime using your finger or a touch-ready pen. Highlight key points, take notes or create an interactive art exhibit that turns every participant into a performance artist. Then snap a picture and save it for offline access. Intuiface contains a host of features enabling you to design for accessibility. 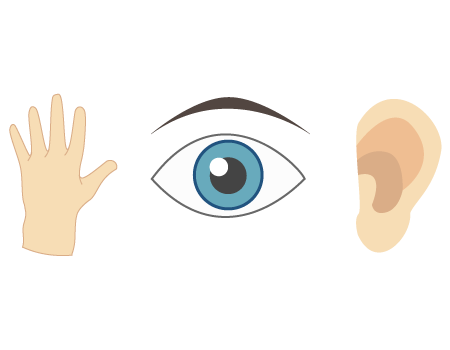 Capabilities include text-to-speech, keyboard-enabled navigation and wide support for onscreen gestures, all aimed at making it easier for visitors with a range of ability to use your interactive content. Incorporate countdown and inactivity timers to add conditional logic such as "If no interaction after x minutes, reset the experience." Or use a scheduler to change content and more at specified dates/times. 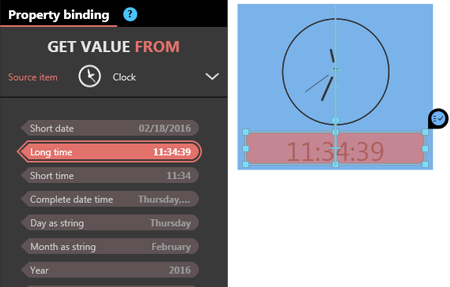 Use UTC-based scheduling to coordinate execution across time zones.